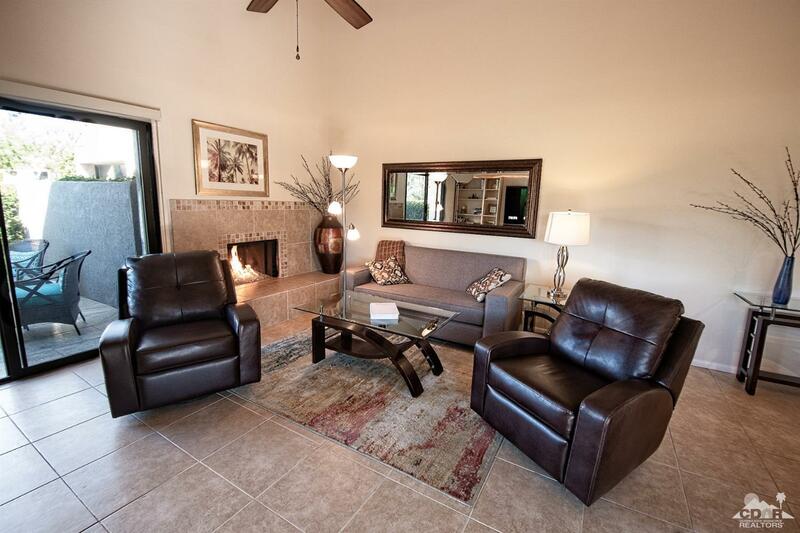 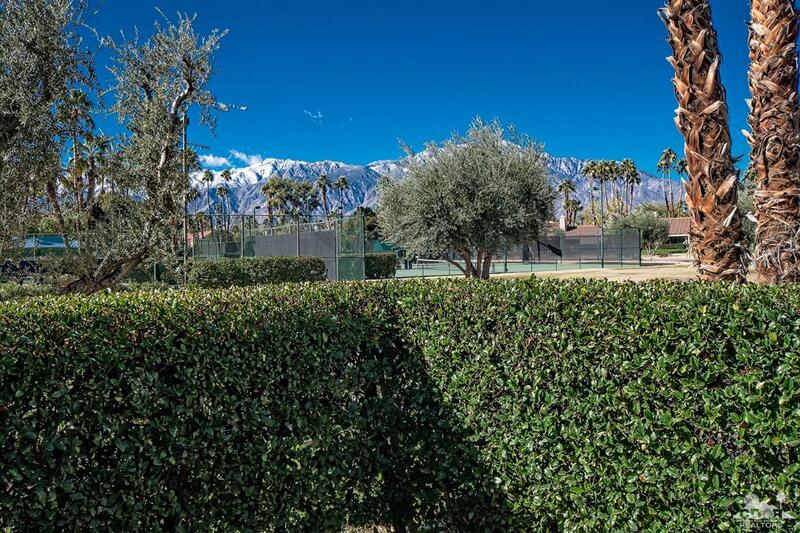 South facing leisure areas with mountain views and 3 entertaining patios! 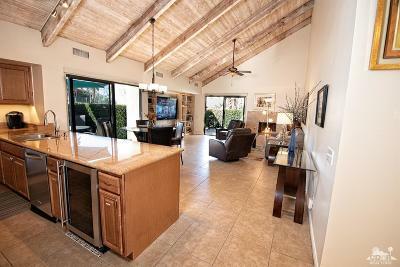 Updated with Contemporary Finishes with open and airy Great Room with wood beamed vaulted ceilings throughout. Walls of glass sliders open to the 3 patios, the remodeled gourmet Kitchen opens to the great room with the wall removed for a seamless flow. 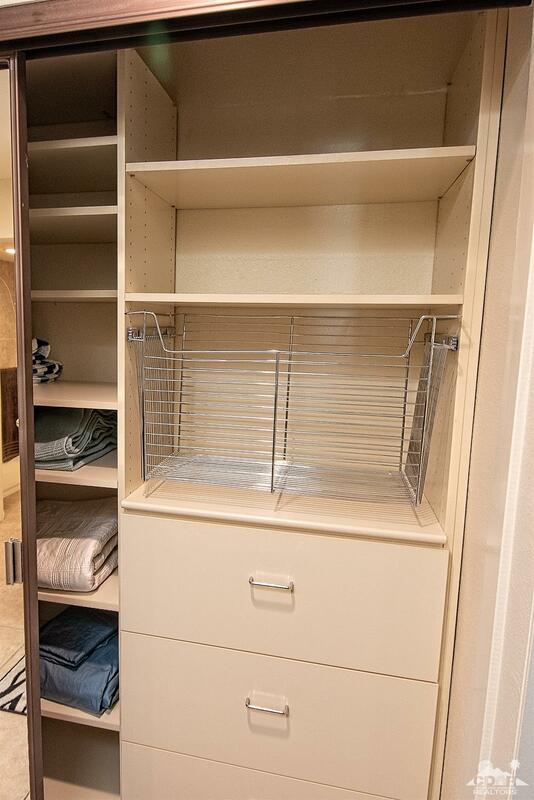 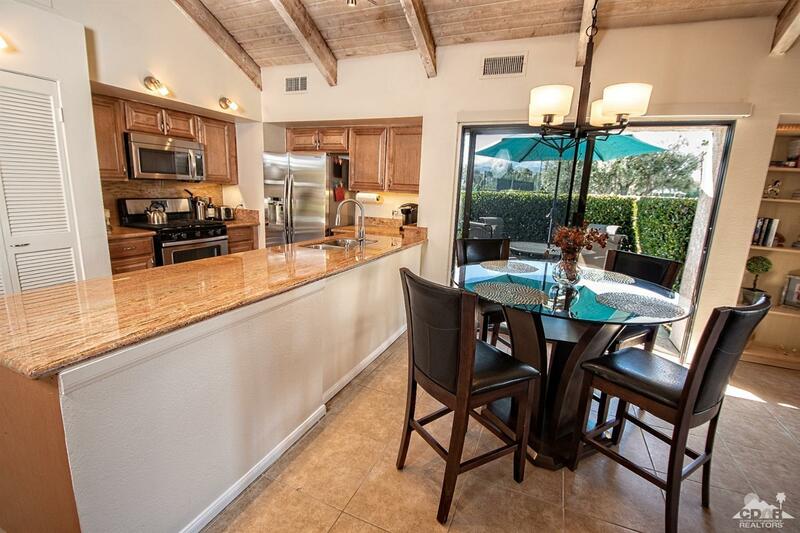 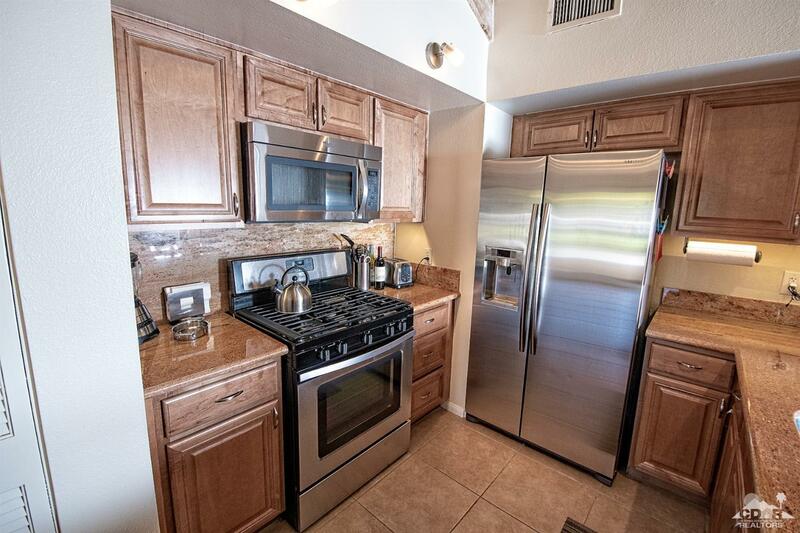 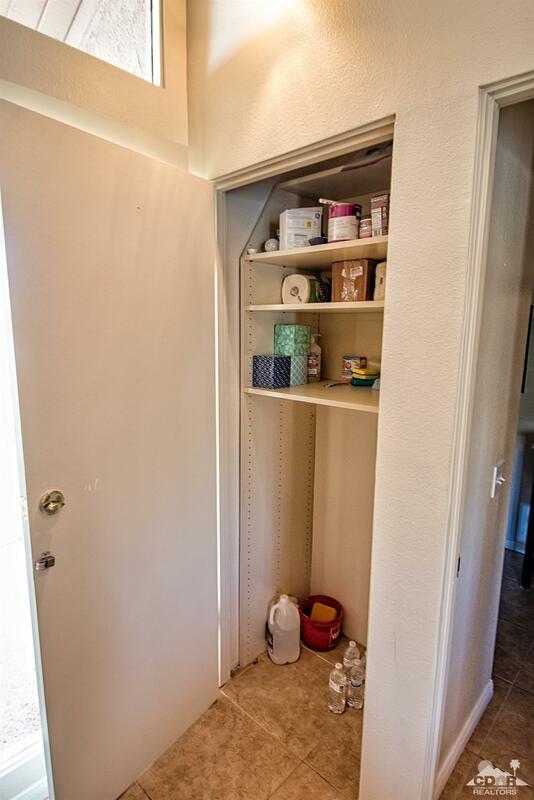 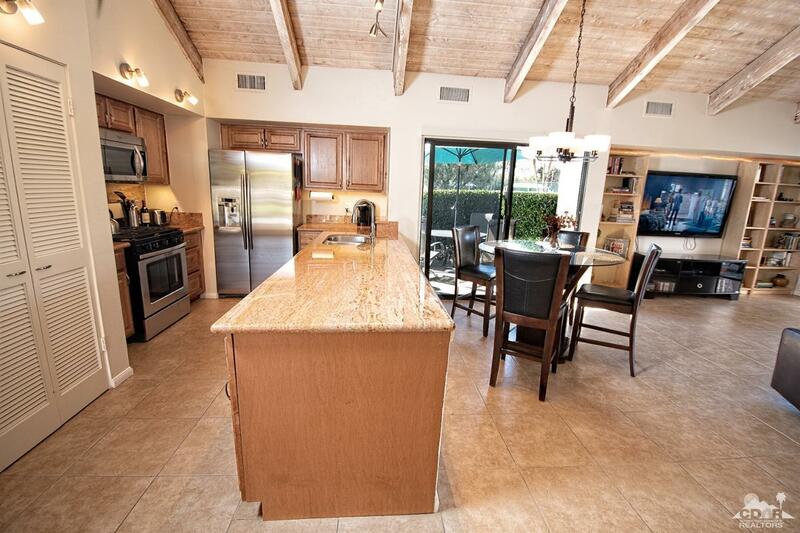 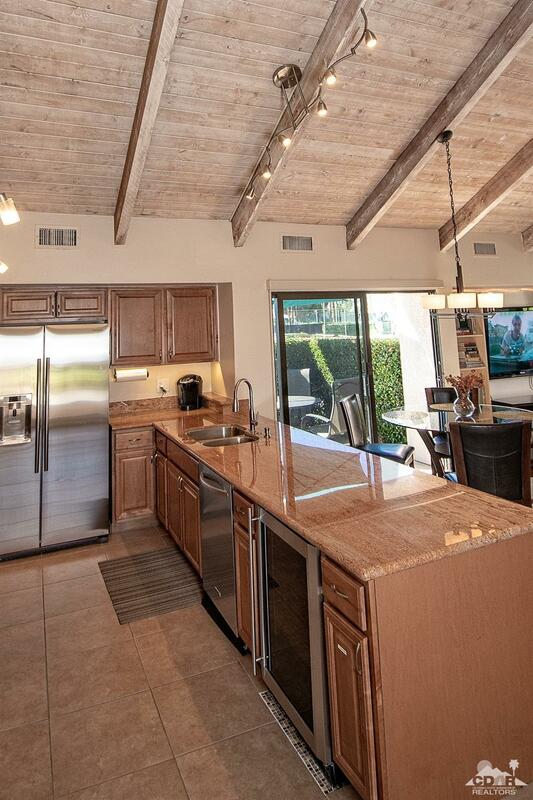 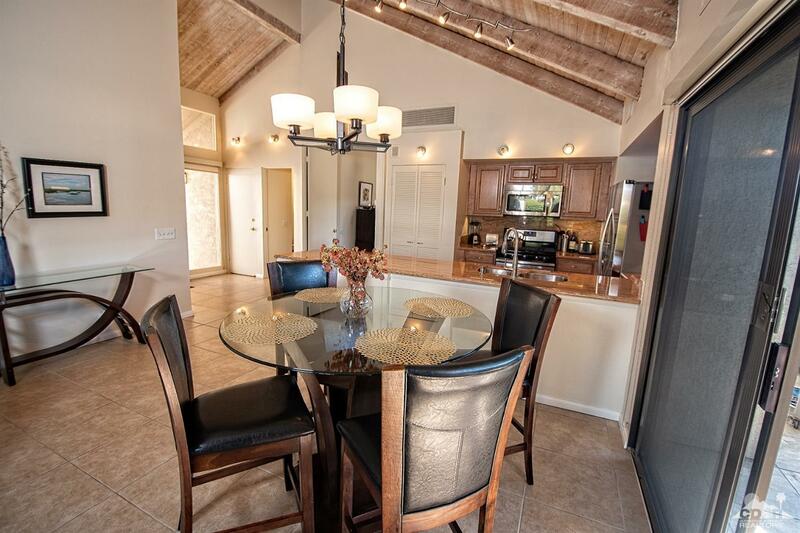 Stainless appliances, granite countertops, island breakfast bar, ceiling fans. 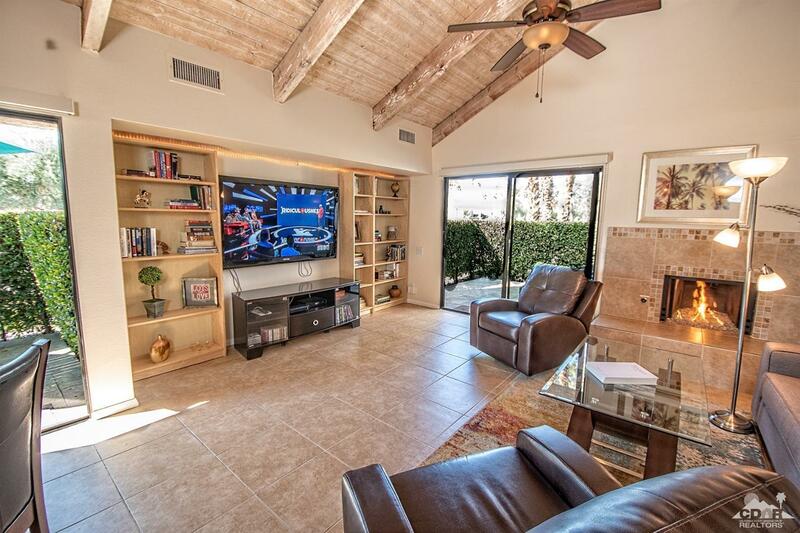 A fire and ice gas fireplace sets the scene for entertaining inside and outside are three patios all with mountain views! 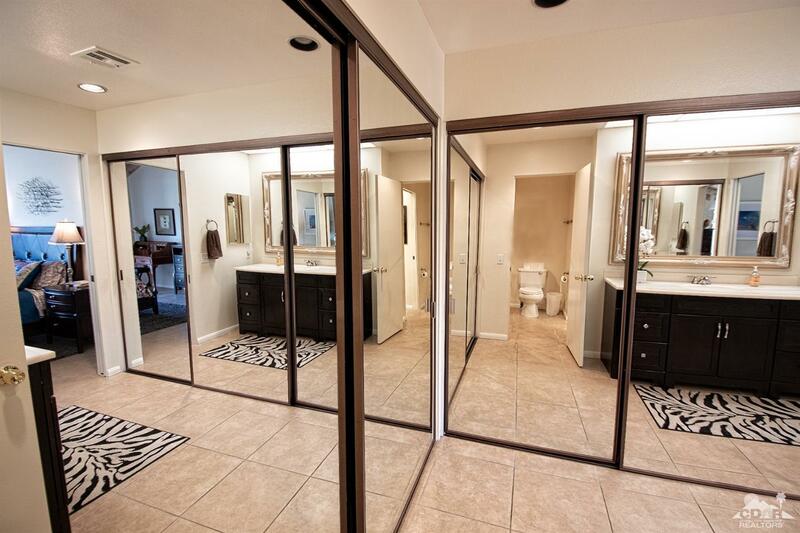 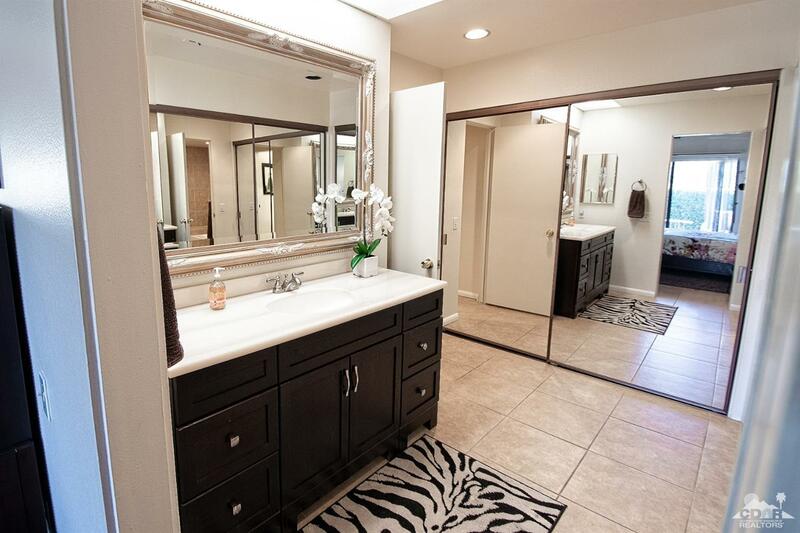 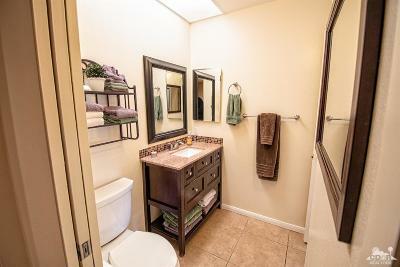 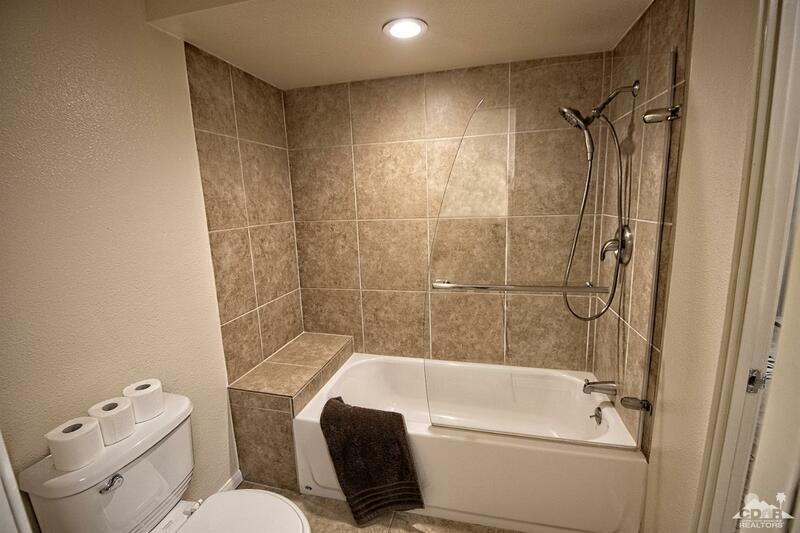 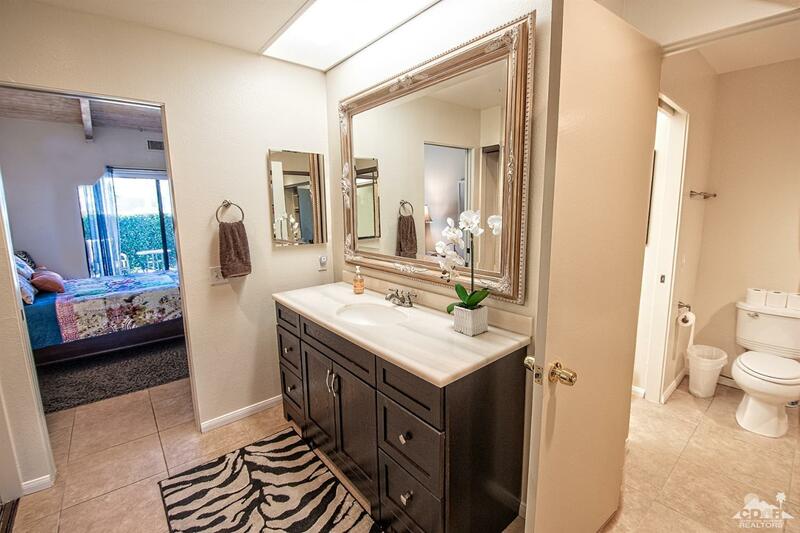 Private Master Suite with updated bath with shower and tub. 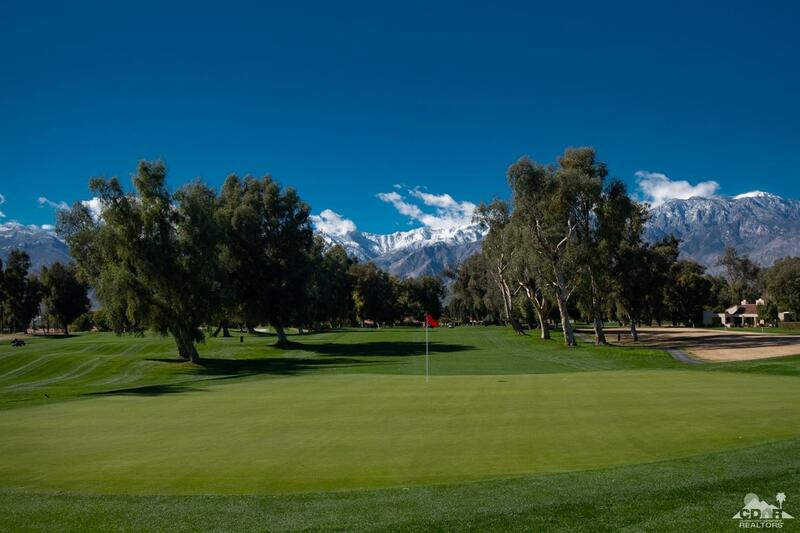 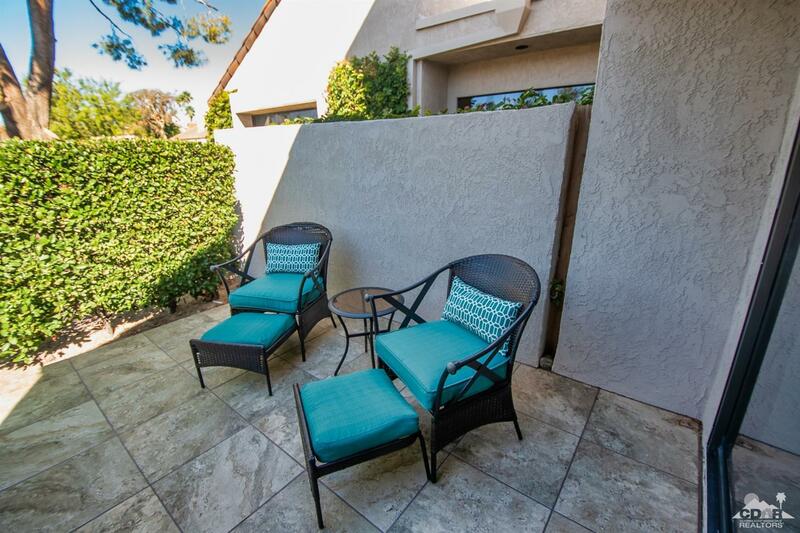 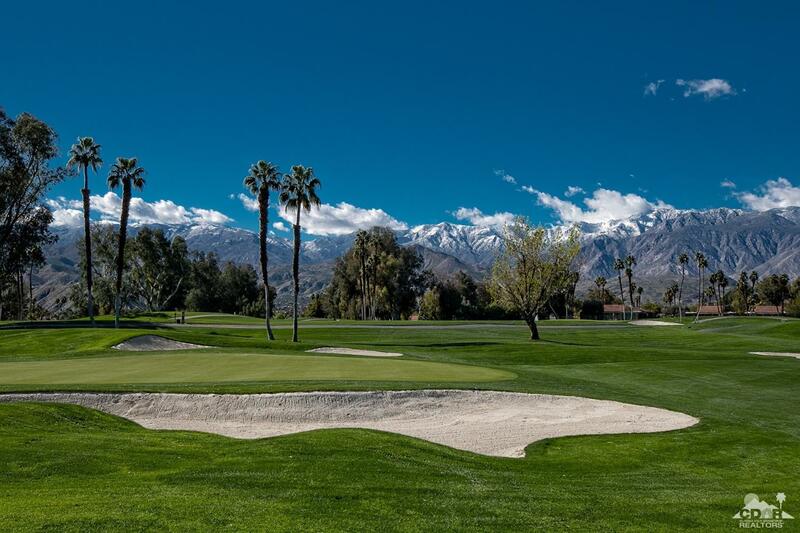 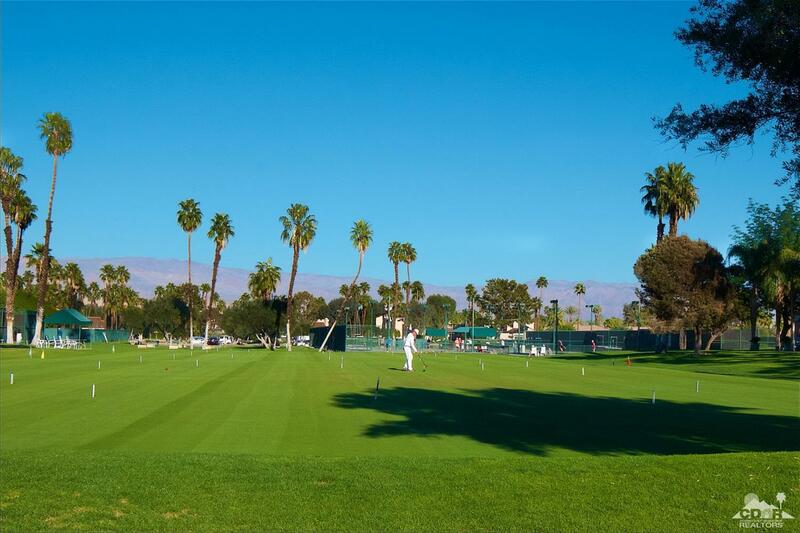 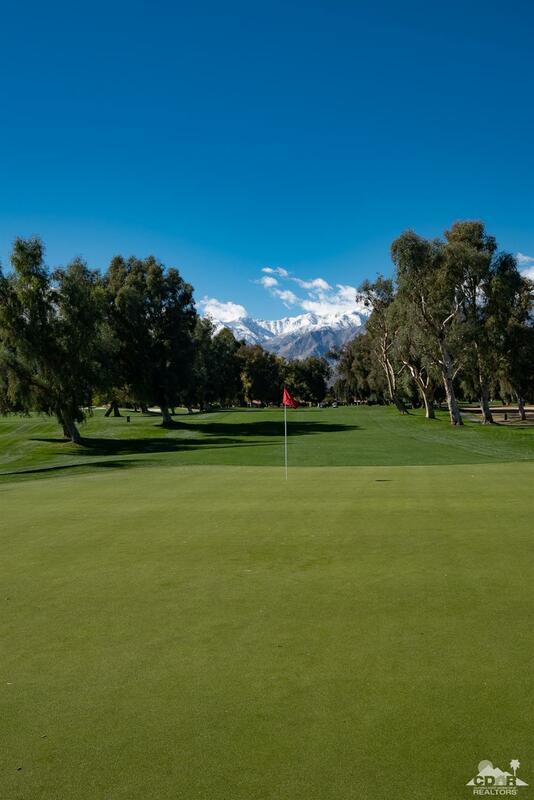 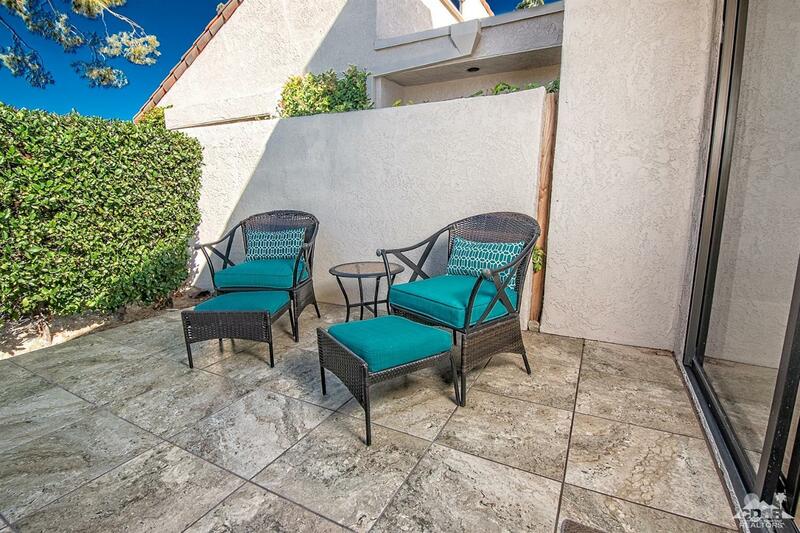 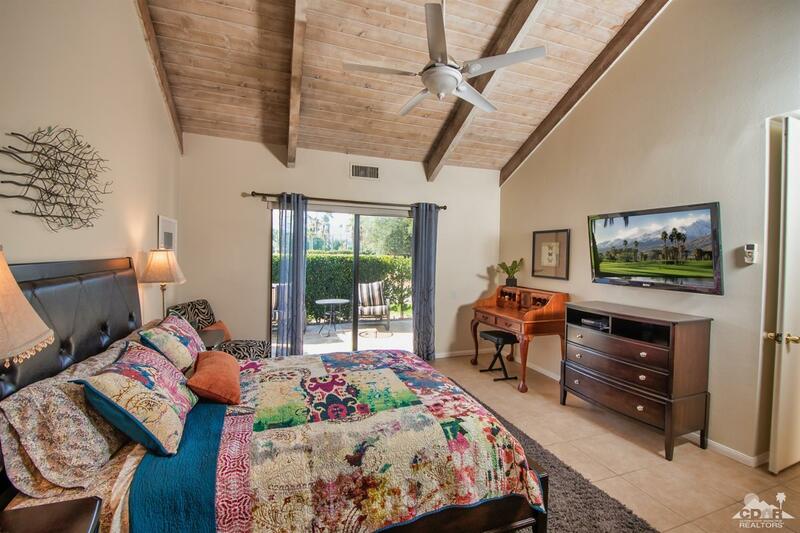 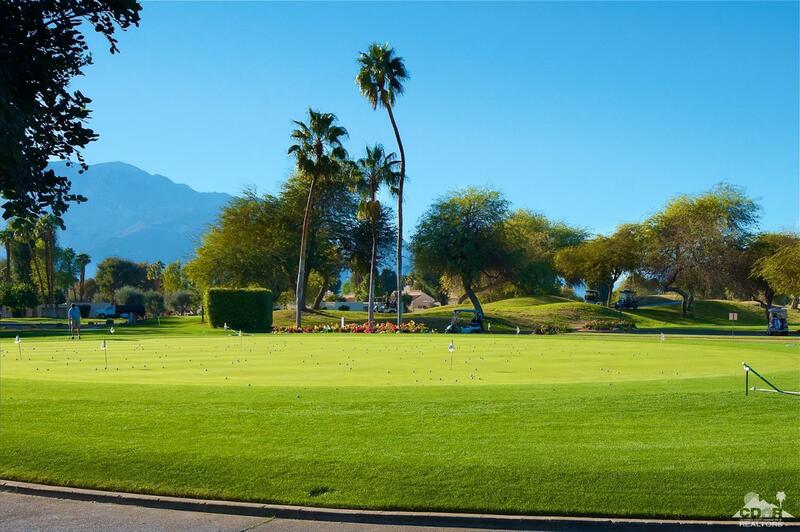 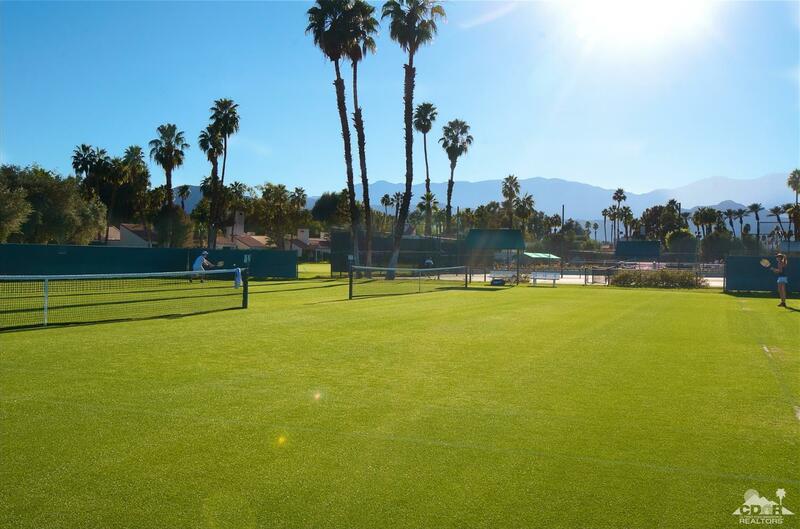 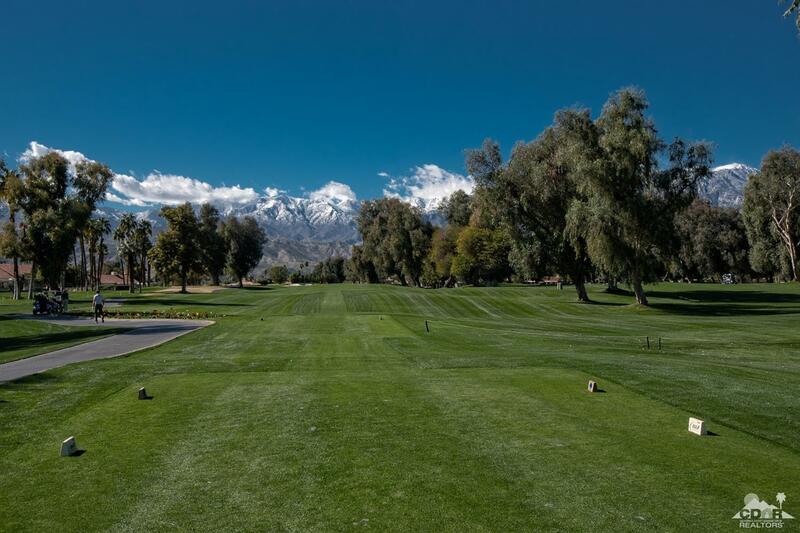 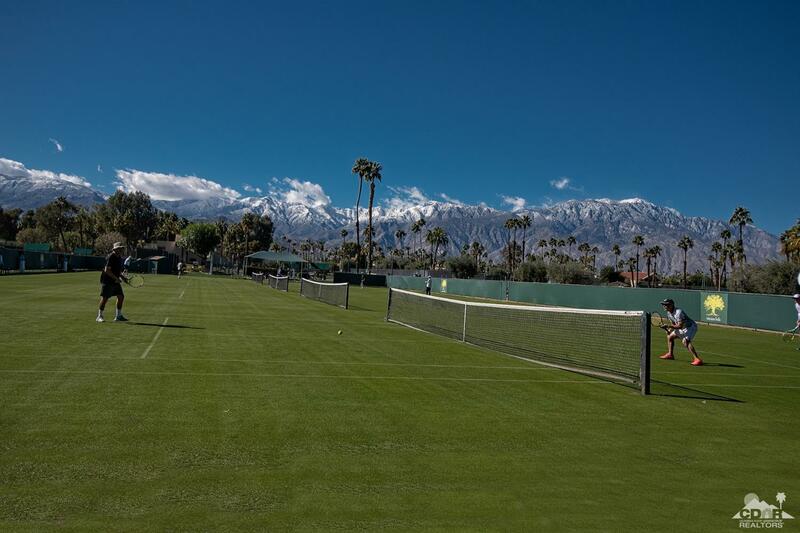 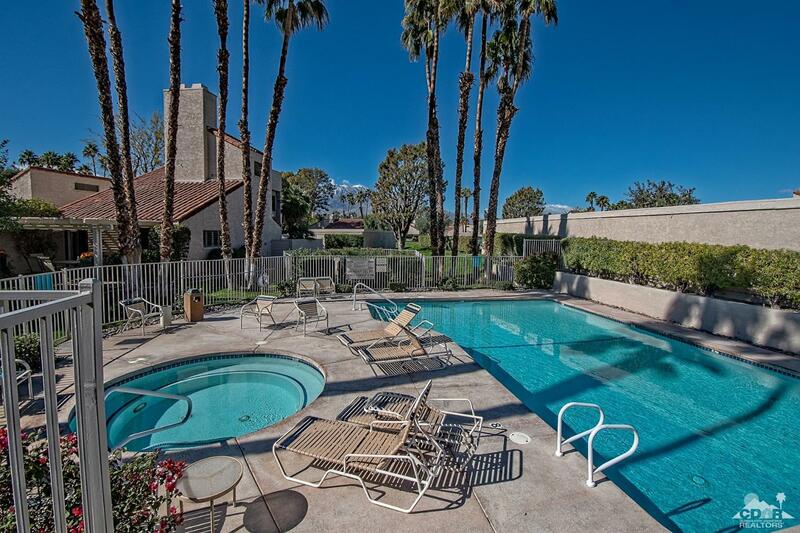 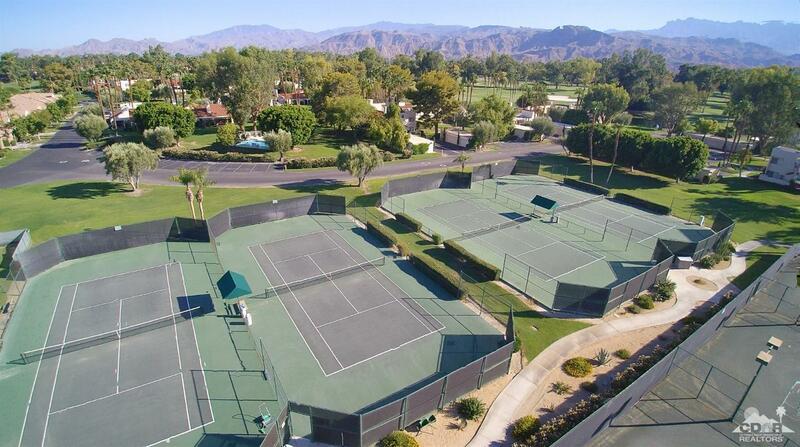 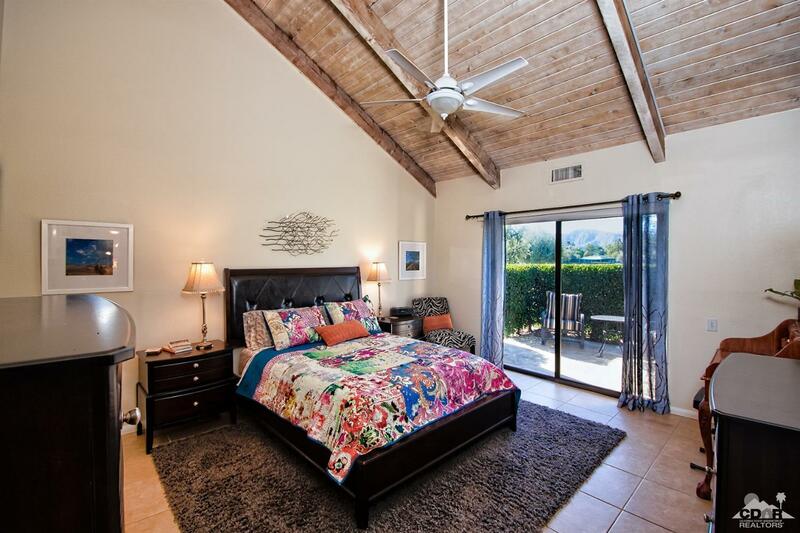 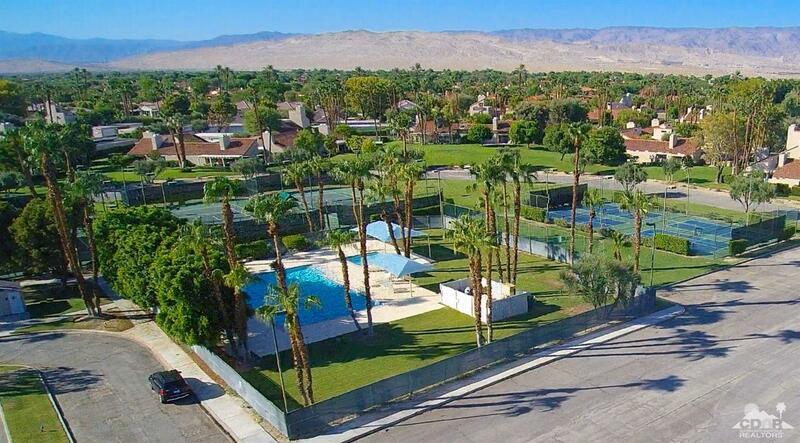 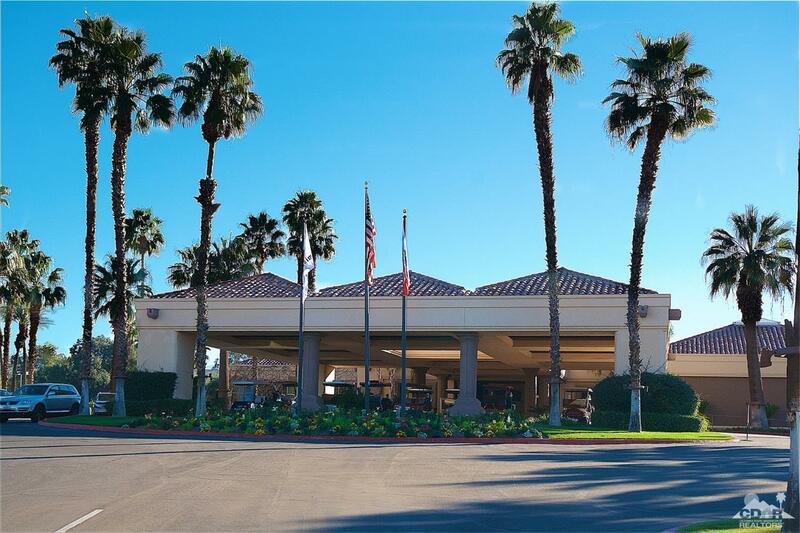 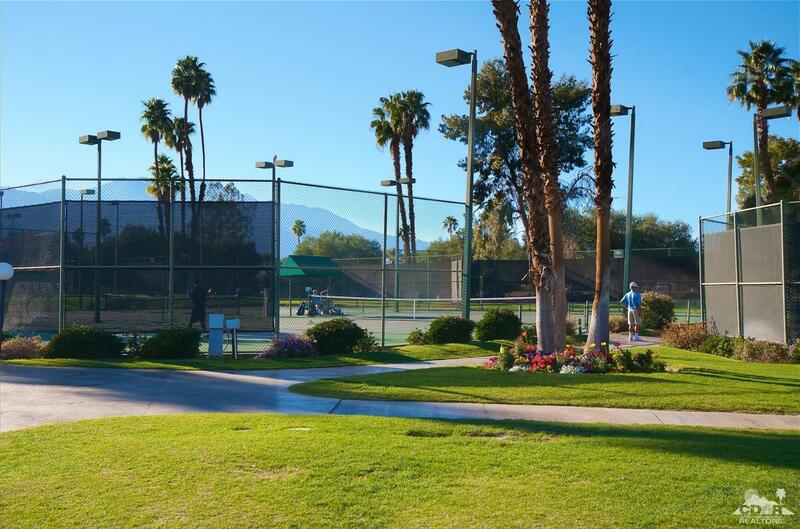 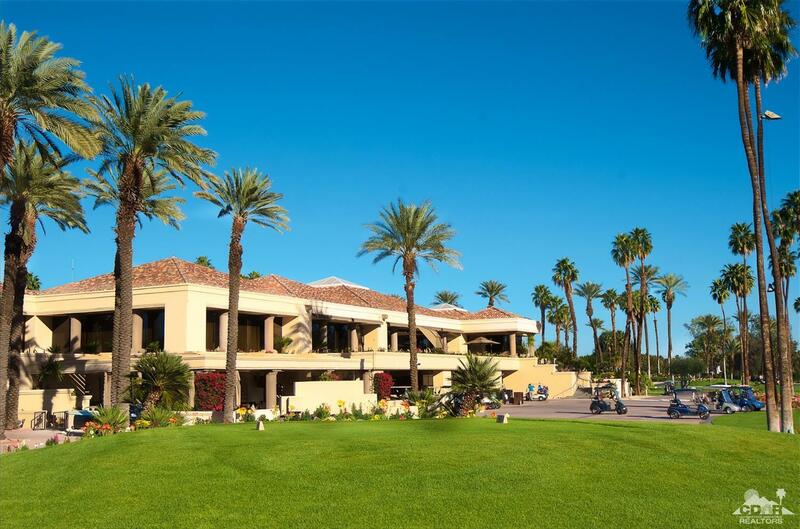 Community Pool and Spa are close and the Mission Hills Country Club Tennis Courts and Clubhouse are nearby for enjoyment of the resort lifestyle. 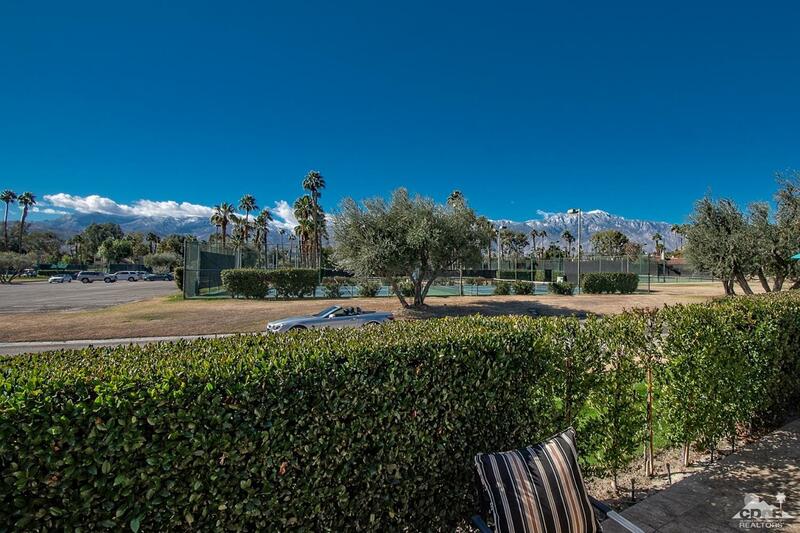 Perfect full time playground, part time winter retreat, income opportunity - or a combination of all.